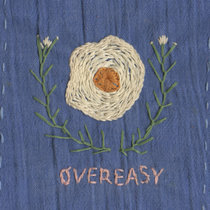 Nicholas Garcia this album is so sweet and genuine - something badly needed in the world right now. 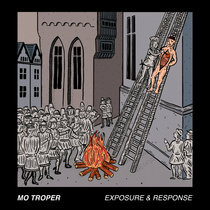 unabashedly melodic pop nuggets wrapped around little snapshots of life. 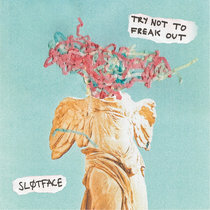 almost like fred rogers' adage of "it's okay to be sad sometimes" was funneled into a juliana hatfield-meets-weezer coloring book for adults. 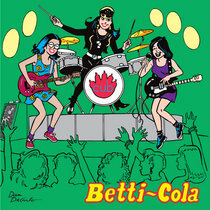 everyone in this band is full of great musical ideas and i hope they never stop doing what they do. Favorite track: Somewhere. 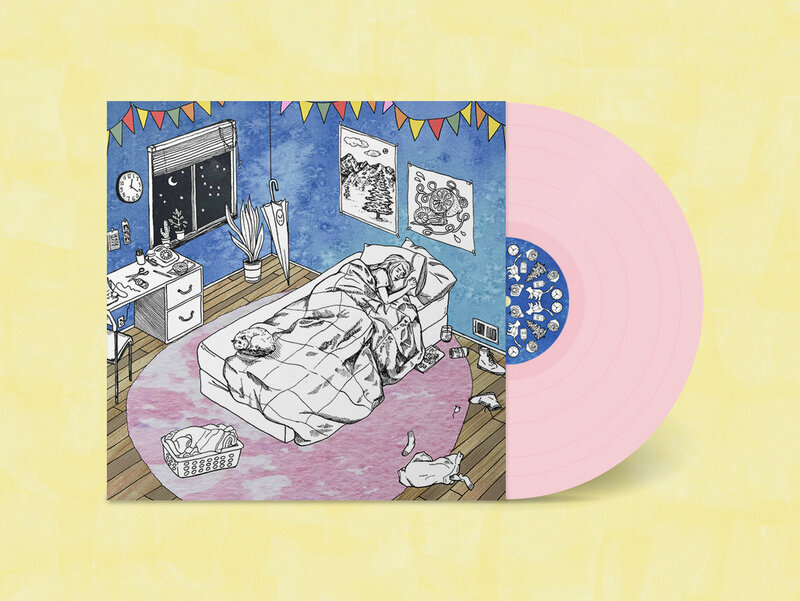 Limited edition vinyl for the 2018 debut! 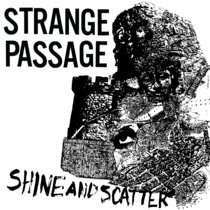 Includes unlimited streaming of Knocking At The Door via the free Bandcamp app, plus high-quality download in MP3, FLAC and more. 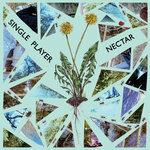 Initially the side project of Kamila Glowacki, Nectar began with a four-track, self-titled cassette. 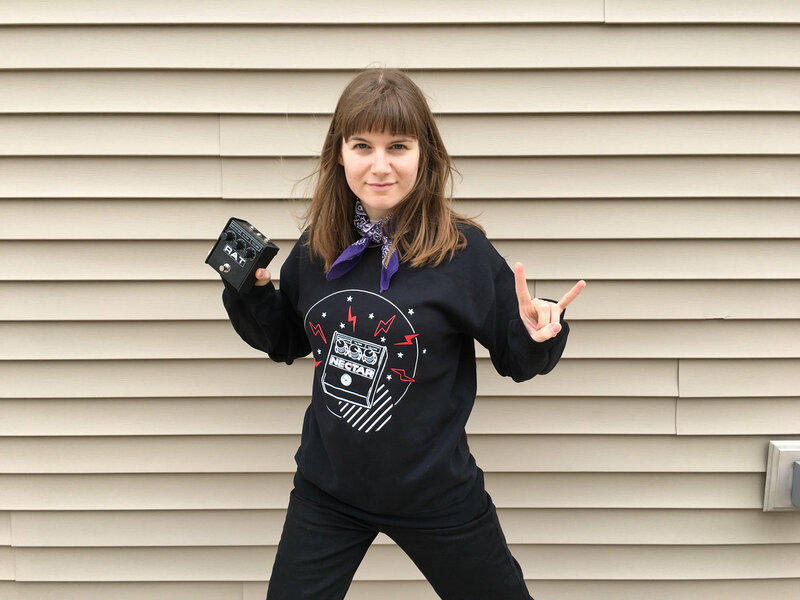 A prolific musician and artist in the Champaign-Urbana, Illinois DIY scene, Glowacki started Nectar as an outlet to write songs that didn’t quite fit her punk-leaning bands. 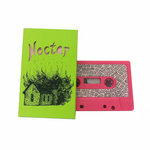 That first cassette, designed by Glowacki, looks exactly how Nectar sounds: on the cover, a small, hand-drawn house burns, adorned with bright pink and green hues - a perfect depiction of the sadness that underlies Glowacki’s sweet, upbeat melodies and guitar riffs. 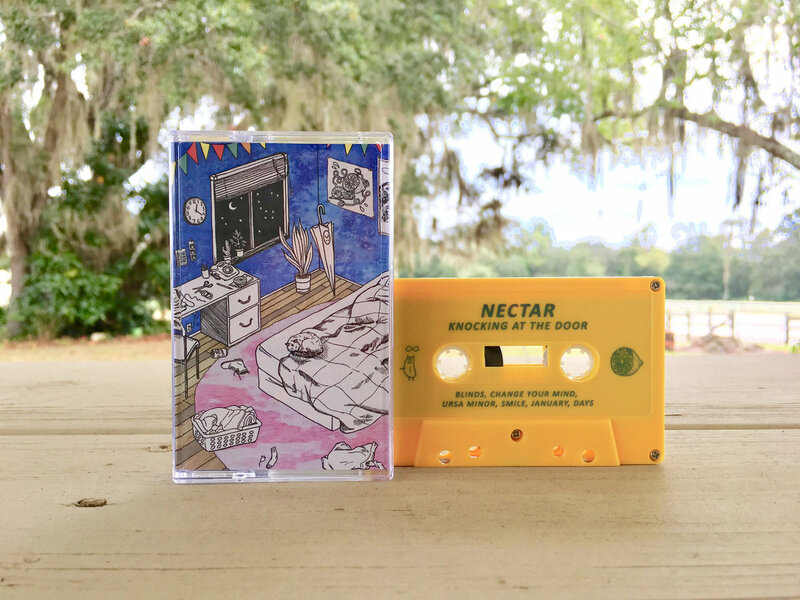 Two tapes and a split 7” later, Nectar will release their debut full-length album, Knocking at the Door, on April 20th with Infinity Cat Recordings. 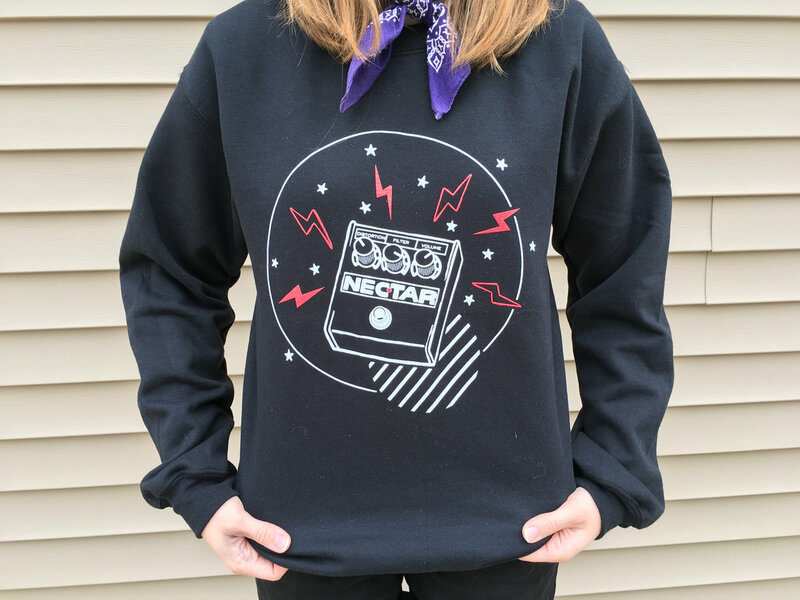 No longer a solo endeavor, vocalist/guitarist Glowacki is now joined in Nectar by guitarist Aaron Shults, bassist Isabel Skidmore, and drummer Jake Mott. 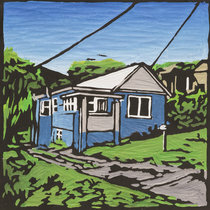 Knocking at the Door was recorded over the course of two days in the home studio of Luke McNeill (of Hospital Job and The Copyrights) and stays true to the project’s catchy beginnings and DIY roots. 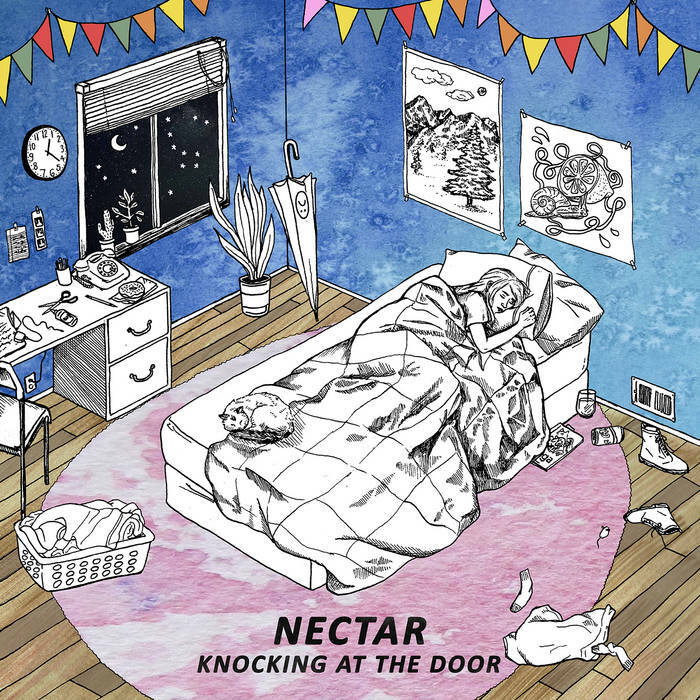 With a sound that harkens back to the likes of Cub, Blake Babies, and Tiger Trap, Nectar confront loneliness and sadness head-on over the course of Knocking’s ten tracks, armed with bouncy guitar riffs, charming lyrics, and catchy melodies as simple and sweet as the band’s name. For Glowacki, Knocking is a personal exercise in self-assurance, an outlet to process her experiences and move forward. Many of the tracks on Knocking are songs about being sad, but they aren’t necessarily sad songs. 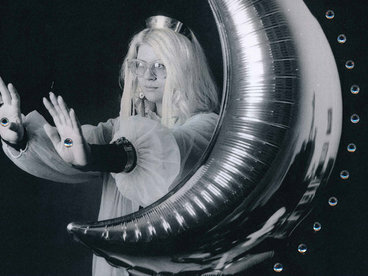 There’s always a melancholy hopefulness present in the way Glowacki approaches loneliness and sadness as learning processes: Glowacki is learning to be alone (“Blinds”), trying to “smile and walk away” (“Smile”), recognizing she’s not the only one who feels stuck (“Days”), hoping that a person she cares about can find a way to feel better (“Somewhere”). 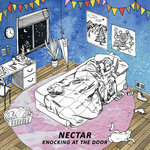 While the songs on Knocking initially stem from moments in Glowacki’s own life, her endearing voice and charming lyrics render them universally intelligible, inviting anyone listening to connect with Nectar’s music, too. 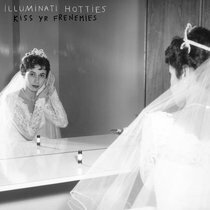 Knocking at the Door sees the full realization of a band that has long embraced exploring sadness through short songs and fast riffs, each track a new anthem for learning to grow and conquer loneliness. Or do you just stare? And I see something, do you see it? If I write it down, can you call it? Smile and walk away, ‘cause it’s okay! The limbs are drooping, as our eyes turn towards the T.V. How many months until spring? Will you stick with me? Should we stay or should we leave? How on Earth can you be so naturally happy? Am I leaving you with nothing? Would you even recognize me?